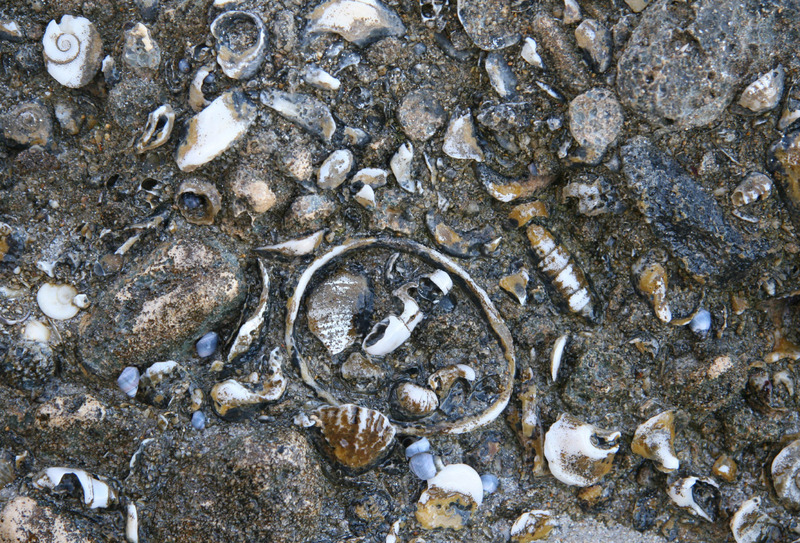 See how many different fossils you can find… can you see the opercula, abalone shell and chiton remains? Click the image to view a larger version. Try looking for your own fossils next time you are at the beach.